soapUI is a fantastic tool for testing web services. 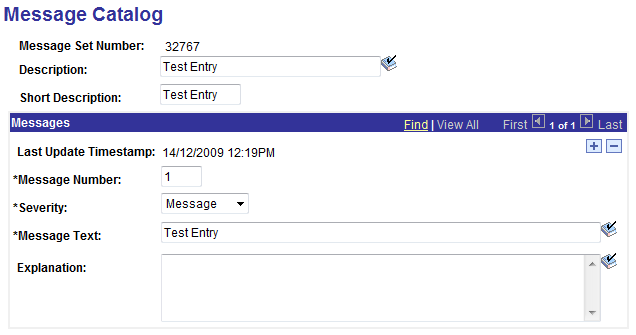 This article goes through how to use it to test a component interface based web service. 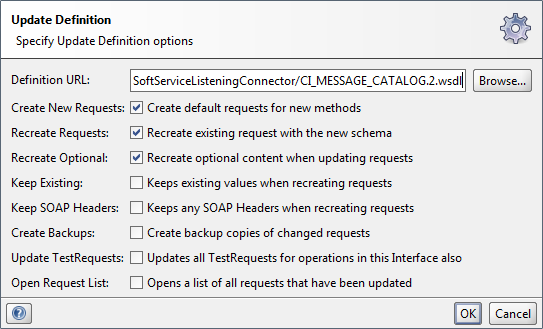 The first step is to create the message catalog web service. For that part, refer to the article on component interface based web services. Once you have the web service up and running, here's how to test it. 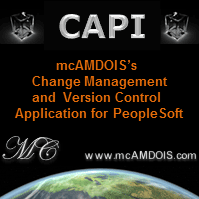 Download soapUI free. I prefer to download the portable zip file for windows and just extract the program into the appropriate location. Once installed, run soapUI by executing soapUI.bat (on Windows) which is located in the bin directory. In soapUI, choose File > New Project (CTRL + N). Specify the project name (CI_MESSAGE_CATALOG), then enter the URL to the WSDL for your web service. Note that the create requests check box will be automatically selected - leave that set. In the generated XML you should see a question mark (?) between the MESSAGE_SET_NBR tags. 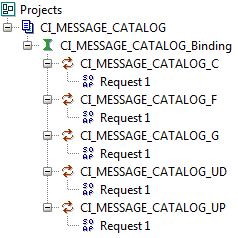 This indicates that you need to supply a value (message set number) to initiate the get request. Change the question mark ? to an appropriate message set number, e.g. 2 (PeopleCode messages) and press the green arrow on the toolbar to iniitate the request. If successful, you should get a response SOAP envelope with a list of all messages under this message set. Note you can't filter down to a specific message number (just like you can't from the search page in the message catalog component). If you get another error check your end point (the URL in the toolbar) and ensure the web service is running. Also make sure the URL is correct (e.g. does it need to have the node in the URL?). If the URL is incorrect, press the drop down arrow and select edit current to modify the end point URL. If you update of the component interface, you also need update the web service using the CI-based services wizard to regenerate the methods that were affected. Select all and press the Display Select Actions button, and on the next page press the Perform Selected Actions button to create new versions of each method. When complete, you will have two versions of the web service. The latest version can be distinguished by the last part of the URL and should be CI_MESSAGE_CATALOG.2.wsdl - note the 2 which is the new version number. Now go back to your soapUI, and right click on the binding CI_MESSAGE_CATALOG_Binding and select Update definition, or highlight the binding and press F5. Update the definition URL so that you are pointing to version 2 of your WSDL (CI_MESSAGE_CATALOG.2.wsdl). Also on the update definition screen, make sure you select recreate requests and recreate optional (first three checkboxes). Note I had some problems initially with this, so it may be easier to just start a new project. You need to use the update data method (UD) in this example because you are updating child data and not key fields. If you use the update method (UP) you will get an error stating that a Row already exists with the specified keys. (PSMSGCATDEFN)}. Remove the question marks ? from all the fields you don't want to touch otherwise they will be updated with question marks. If successful you will get a response soap envelope with a notification of value of 1. 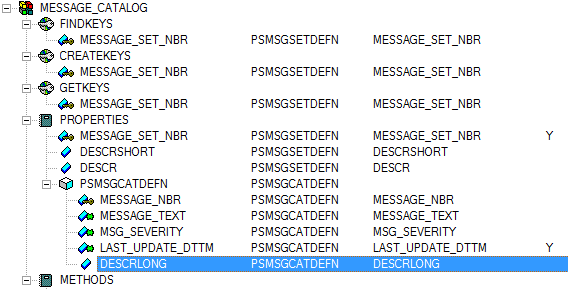 Go into the message catalog and confirm that the explanation text has been updated as expected. Hopefully this gives you a bit of an understanding of how to test a component interface based web service.